How are Pets, Millennials and Essential Oils Shaping FF? How are Pets, Millennials and Essential Oils Shaping F&F? Cover image by Dan D'Errico. What do essential oils, pet food, coffee and millennials all have in common? Although they may seem to be randomly grouped together, they are in fact major growth drivers in the F&F industry. The Women in Flavor & Fragrance Commerce (WFFC) held its fall seminar on September 13, 2016 at the Saddle Brook Marriot in Saddle Brook, New Jersey. From beverage trends to aromatherapy in consumer wellness to pet food business strategies and answering the question, “What do millennials want?” the seminar reached a breadth of topics to help an audience of perfumers, flavorists and allied professionals. Ilana Orlofsky, marketing coordinator, Imbibe, discussed current trends and trend drivers in functional beverages. As consumers continue demanding multifaceted products, multifunctional beverages offer health benefits for an ever-evolving wellness market. In fact, functional beverages are expected to reach $279 billion by 2020 in sales. Orlofsky explained that consumers are motivated by being “Wired,” “Tired” and “Inspired.” What does this mean? Amy Galper, Tom Lauzurica. Photo by Dan D'Errico. Consumers, especially the tech-savvy millennial, are looking for immediate results for their busy lives. This includes instant nutritin. With apps such as Blue Apron that deliver portioned ingredients to cook a full meal, consumers can control what they put in their bodies whenever they want. Consumers are looking for instant access, Tom Lauzurica, marketing manager, Berje explained in his presentation, “Who are Millennials and Why do We Care?” It’s all about efficiency and unique when it comes to consumer demands. This leads to the next point, “Tired.” Accessibility is key when it comes to health. Meal delivery kits and multifunctional foods and beverages offer companies an opportunity to incorporate function with health. In fact, 70% of consumers would pay more for healthy food. Furthermore, consumers are looking to be “Inspired”—to take care of themselves through health and technology integration. Devices like the FitBit and HidrateSpark (an app that tracks consumers’ water intake) are innovative ways to influence and inspire consumers to take their health into their own hands. So how can companies learn how to create products that are wired, inspired and for the tired? Orlofsky notes functional coffee as one major trend in beverages. By 2020, the ready-to-drink (RTD) segment will reach $1.63 billion. Within the past year, coffee has turned a variety of fascinating corners with the inclusion of proteins, antioxidants, fats and probiotics—all designed to support immune health and weight loss. Natural beverages are also seeing a renaissance with the rise of kombucha, matcha, drinking vinegars and plant water on shelves. Companies are experimenting with a variety of plants, including birch, maple and cactus—all known for their phytonutrients, antioxidants and electrolyte resources—as well as walnut and sycamore for sugar alternatives. Drinking vinegars, such as apple-cider vinegar and coconut vinegar, are growing in popularity, which offer health benefits, such as digestion, fiber, amino acids and in the case of the coconut, a sweeter taste. Botanical beverages (not just for cocktail bitters!) are featuring turmeric, lavender, cayenne and serrano ghost peppers as a source of adaptogens to help boost metabolism. Seeds, ancient grains and purple corn enter the smoothie realm as a way to add nutrition and texture. Popular ingredients include chia, quinoa, teff, amaranth pumpkin and sunflower seeds. Pet food is a recession-resistant industry, explained George Josef, marketing manager North America, DIANA Pet Food. Along with tobacco and alcohol, the pet food market is unaffected by economical fluctuations—in other words, 74% of U.S. pet owners are not influenced by the economy when it comes to their pets. New products are hitting shelves on a regular basis, and many of the labels sound similar to their human counterparts: organic, non-GMO, grain-free and alternative technology are introducing new ways to process pet foods: over-baked, raw freeze-dried, air dried, dehydrated, freeze dried and cold-pressed. 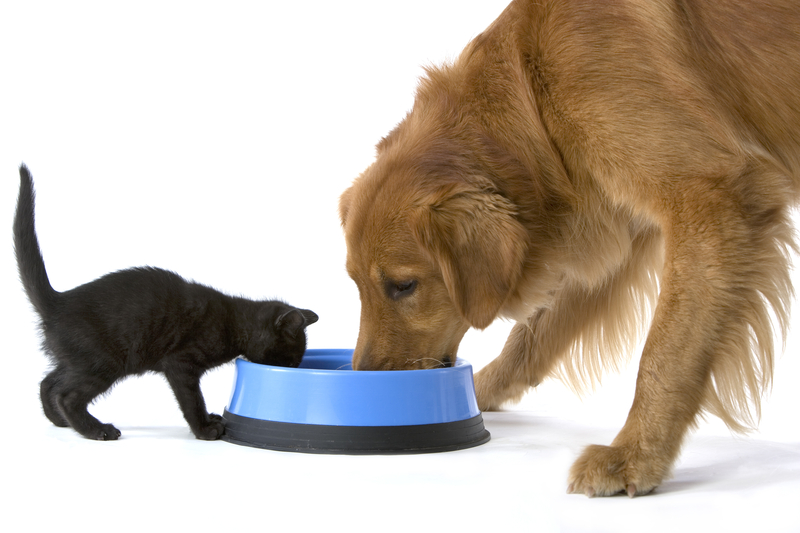 Consumers look to the label for their pet’s foods and wellness: 80% of U.S. pet owners base food on nutrition. 74% of U.S. pet owners are not influenced by the economy when it comes to their pets. Companies are introducing novel ingredients for better brand differentiation. Protein, for example, is expanding into more exotic sources, including bison, ostrich, kangaroo, venison, wild board, insects and calamari. Fruits and veggies are also incorporated using freeze-dried technology and include coconut oil, chia seeds, cranberry, pumpkin, raspberry, spinach, kale, blueberry, pomegranates and sweet potato. Because pet care is a consistent and burgeoning market, how can companies make experiences better for pets and owners? Debra Bornstein, vice president, fragrance creation, home and personal care, Symrise, discussed a variety of new platforms to bring pets and owners together—from celebrity pets on social media to pet/owner “matching” apps. Treatment is very big, like flea and tick products, but now as health and wellness expand into the pet arena, products are including essential oils such as geranium, lemongrass as well as oatmeal shampoos and gourmand fragrances for bath products. products, as well as innovative freeze-dried food technology that includes whole fruits and veggies. Trends for cat litter range from experiential and malodor control. Companies look at these areas and determine how to translate olfactive qualities into fragrance trends for cat litter products. Malodor, health and wellbeing and scent seekers are among the top three categories Symrise researched in its cat ethnography endeavors. So now that we know what pets want, what about their popular counterparts, the millennials? Tom Lauzurica, marketing manager, Berje, Inc. led an engaging presentation on why this generation is making such an impact on the F&F industry. Millennials are the dominant segment, Lauzurica explained, and by 2021, millennials will be the generation with the most spending power. In fact, this group is expected to be the most brand loyal generation yet and the most connected to their favorite products and brands. Capturing consumer interest today is more important—so who are millennials? They’re native to technology and social media. While companies sculpt their brands and design marketing campaigns, factoring in millennials will be imperative in these strategies. Now that companies have established real estate online, they are catching the attention of the generation that is the most connected. It’s important then that companies speak the right language: branding should be honest, rooted in social consciousness. as well as the essential oil industry. Photo byDan D'Errico. Rediscovering our food culture is what is behind innovative products, explained Mario Valdovino, corporate executive chef and director of culinary innovations, Tyson Foods, Inc. Consumers are changing the way they look at food, which is evolving into a more experiential, de-ritualized and personal experience. With fad diets falling by the way side, consumers are looking to food as a means for improved health and wellness. Aromatherapy continues to be a burgeoning area for both the health and wellness market and essential oil industry. Amy Galper, executive director, NYC Institute of Aromatherapy defined aromatherapy as a dynamic and holistic approach for consumer wellness. It’s certainly a realm that the F&F industry can learn from in terms of formulating products designed to make people feel like they are making the best choice for their physical and mental health.